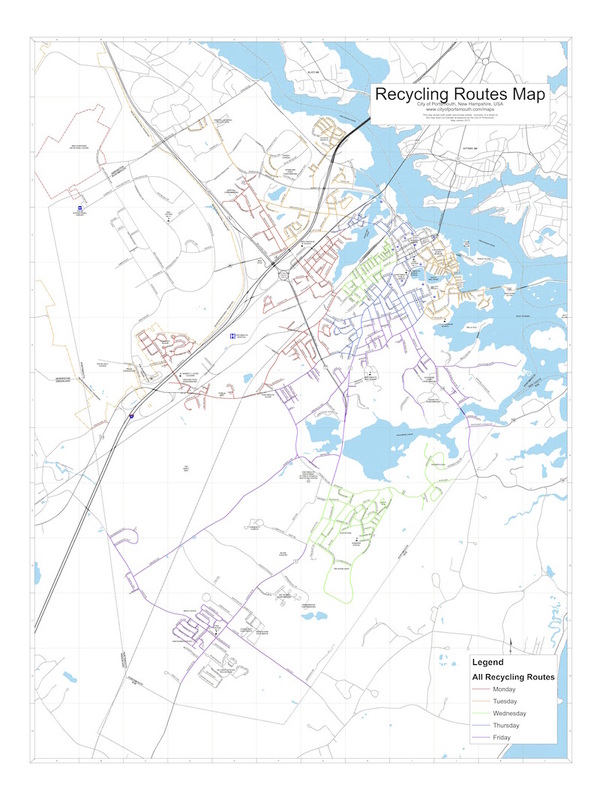 View a map of the Recycling Routes for Portsmouth. The routes are color coded for each day that trash and recycling is collected. Click the map or the link below to download the full map.